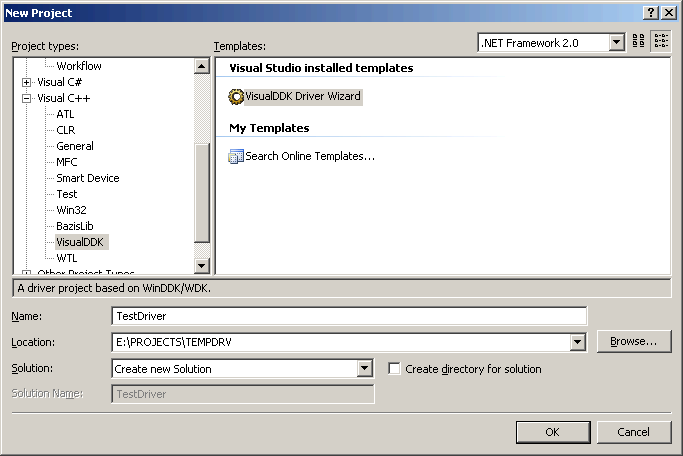 It allows creating driver projects to develop, build and debug directly from Visual Studio using simple templates. It allows importing existing code into VisualDDK projects. The importing functionality was tested on several samples from DDK, such as BULKUSB. Select the driver type you want and press OK. Note that you can select a specific version of WinDDK/WDK to use, as well as exact operating system to support (this influences header and library files selected from DDK/WDK). 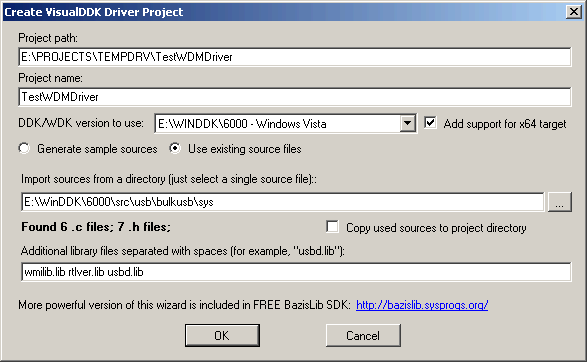 Note that it is recommended to consider using BazisLib library for new driver projects, as it automates most routine tasks related to PnP driver development. You should specify the directory to look for source files. Only .c, .cpp and .h files will be used. No support for precompiled headers will be added in this mode. Note that VisualDDK Driver Wizard will try to automatically detect additional libraries required by the sources by parsing the "sources" file. However, it can still miss some of the dependencies. After you created your project, it can be compiled on any machine that has DDK/WDK installed and %DDKPATH% and/or %WDKPATH% environment variables set. You do not need to install VisualDDK to build the projects. 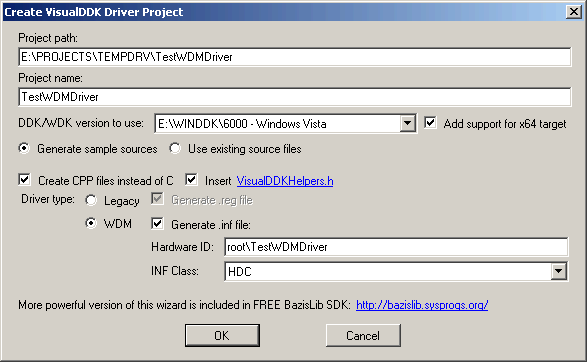 However, it is required to debug driver projects from Visual Studio.